If you have a penchant for making a distinct style statement, this churidar suit from Kashish will surely become your instant favourite. 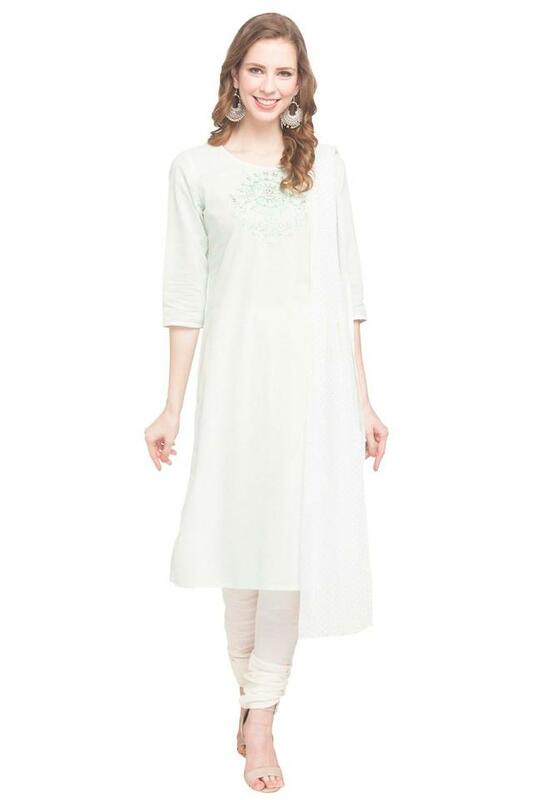 The kurta features an embroidery work at the front and that lends it a classy look. 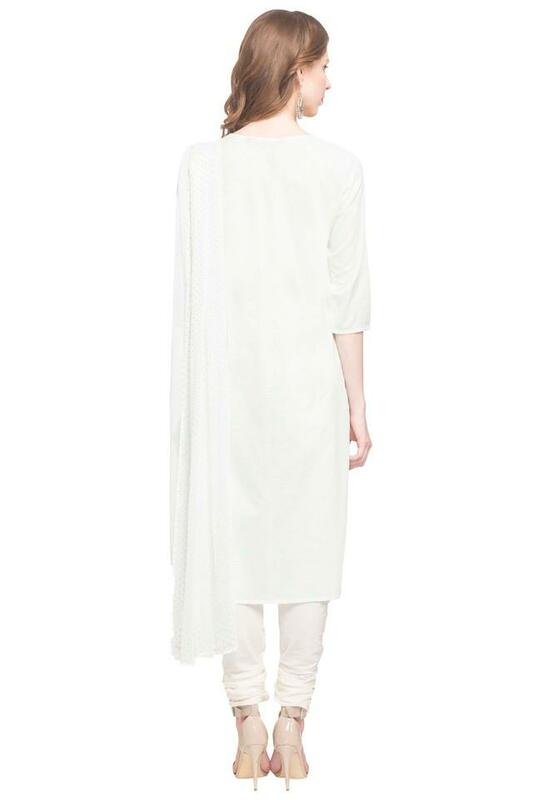 Besides, the ensemble will envelop you in optimum comfort as it has been tailored with a premium quality fabric. Leave your admirers mesmerised by wearing this churidar suit with a pair of heeled sandals and sleek accessories. The kurta comes with an intricate embroidery work at the front that lends it an appealing look.